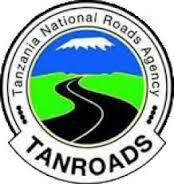 The Government of the United Republic of Tanzania (GOT) has received a credit from International Development Association (IDA) towards the cost of the Southern Africa Trade and Transport Facilitation Project (SATIFP) and intends to apply a portion of the proceeds of this credit to eligible payments under the Contract for Consultancy Services for Technical Advisor for Implementation of Electronic Documentation Management System (EDMS) and Contracts Management System (CMS) for TANROADS. TAN ROADS is therefore looking for dynamic, motivated, creative and open minded individual for the assignment. The duties of the Technical Advisor among others, will be to provide the Technical Advice a~d Support to TAN ROADS for implementation of EDMS and CMS from the conceptual stage until they are fully functional, to administer the roll out and institutionalization of the systems and identify training needs to be implemented by the EDMS and CMS Service Providers. The successful Candidate will report to the Director of Projects and work closely with fellow ICT Experts and other TAN ROADS staff to accomplish the specific tasks under the contract. The desired attributes for the position are at least a degree in Civil Engineering or other relevant fields with a minimum of 15 years of work experience in design, implementation of institutional enhancements. strategic planning, business process mapping, or related assignments. She/he must have served in a similar capacity on at least two (2) assignments related to implementation of EDMS and CMS in the last 10 years. Successful experience with business process mapping and quality improvement for the road sector in an emerging or developing country would be an advantage. She/he shall have good command of English, speaking and writing, be computer literate and possess good communication and interpersonal skills. Both women and men with requisite qualifications and experience are encouraged to apply. The services will be provided on part time basis with total inputs amounting to six (6) person-month. The inputs shall be provided intermittently for short durations spread over two (2) years. TANROADS shall determine the timing of the input of the TA that will be required with a prior two (2) weeks' notice based on the engagement schedule to be provided in the TOR. One workday shall have a minimum of eight (8) working hours. The applicant should provide: (i) full time contact mail address and mobile phone numbers; (il) contact details of his/her Clients/Employees in the last 5 years and (iii) names of three referees and their contact mail addresses including mobile phone numbers.